The 24K Gold Black Solo Zircon Macrame Bracelet is simple yet elegant and effective. 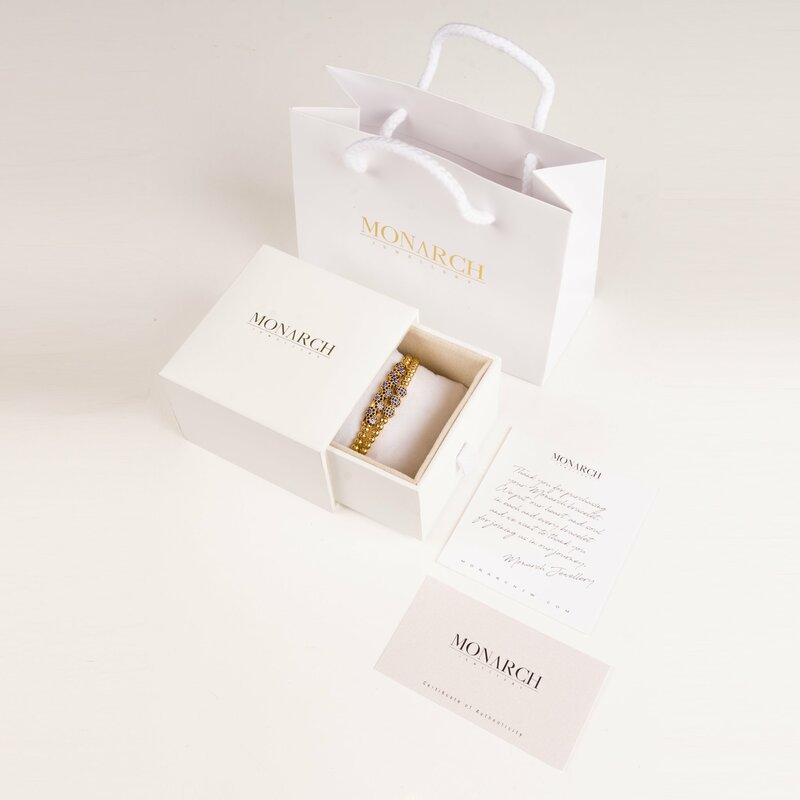 With one gold plated bead, covered in semi-precious black zircon stones, is a must-have in your Monarch private collection. This bracelet is just ideal for stylish stacking, or just combined with another gold or gold rose Monarch Jewellery bracelet.